but to be performed for the general masses. From an informal group that started in 2011, we have established ourselves as the only theatre company in Malaysia that focuses on Shakespeare’s works. Each year, we draw a diverse audience to watch Shakespeare performed live. We do so without running away from his language. Our production in 2017, SD: Macbeth has traveled to 14 locations, performed more than 40 shows to over 6500 pairs of eyes. Apart from KL, we have traveled to Langkawi, Penang, Ipoh, Nilai, Seremban and Johor Bahru. And overseas to Manila, Philippines. It is our mission to take Shakespeare to every state in Malaysia, and eventually to all countries in Southeast Asia. Besides our annual Shakespeare Demystified series, we actively provide training and workshops based on the concept of “Learning Through Shakespeare”. We work with primary and secondary schools, colleges and universities to deepen their appreciation of the Bard, or to improve their communication skills, or to explore various stage crafts, all rooted in Shakespeare’s text and works. 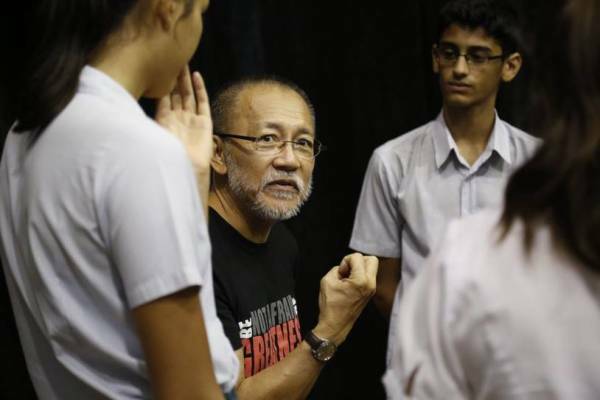 It all started in 2009, when klpac and the Australian High Commission invited Jeff Kevin, a director based in Tasmania, to conduct a three-week workshop on Shakespeare, titled "From the Page to the Floor". At the end of the workshop, there was a showcase of excerpts from four Shakespeare plays. 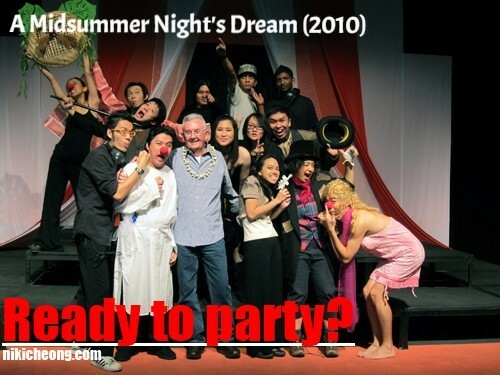 The following year, Jeff returned to direct some of the participants in a pared-down version of "A Midsummer Night's Dream". The simple set, props and costumes have changed the mind of both actors and audience about the Bard -- that his words and the actors are sufficient to make us see with our mind’s eye; and, touch, taste, smell and hear through our non-physical faculties. 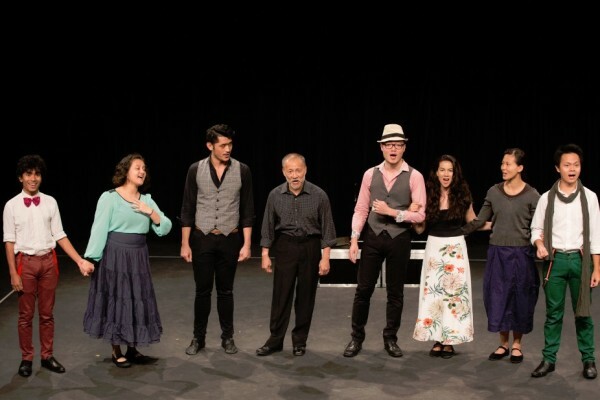 When Jeff could not return for the third consecutive year due to a lack of funding, four of the participants-- Lim Kien Lee, Lim Soon Heng, Qahar Aqilah and Sandee Chew --together with Marina Tan decided to continue the legacy by staging a minimalist version of Shakespeare. After many brainstorming sessions, we came up with a unique format: an abridged performance of key scenes in original text, with a narrative glue in contemporary English. To manage audience-expectation, we added a tag SHAKESPEARE DEMYSTIFIED before the title. 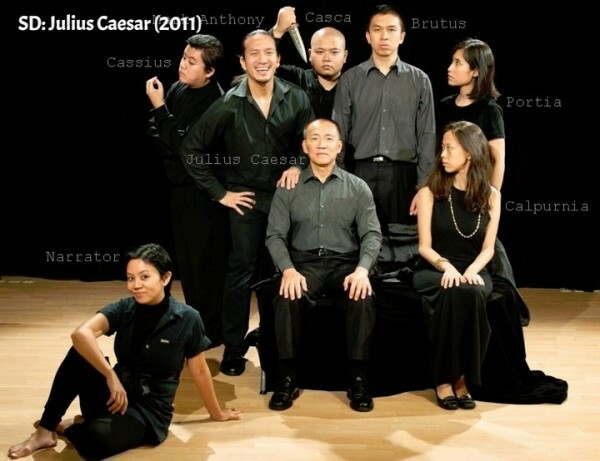 With support from Joe and Faridah, together with the Kuala Lumpur Performing Arts Centre (klpac), in 2011 we staged our first production SHAKESPEARE DEMYSTIFIED: Julius Caesar. We got three more actors to join us, to form a cast of eight. We experimented with the "ensemble directing": whoever was not in a scene would direct it. If everyone was in it, then we would take turn to sit out and give our suggestions. It was not an easy process, since each actor had various acting philosophies and background. We struggled to find a common language, and we argued a lot. But in the end, we were able to pull ourselves together to present a show. We were also lucky to have Joe as the Artistic Director, who sat in with Faridah and some klpac staff at a preview, and gave us the most honest critique. Because of this we managed to improve the show before the opening. ​​Since then we have been presenting one show per year (see list of productions ), exploring along the way various approaches to improve our production. 2. Total democracy in a production is really exhausting. We need to have a director, better still someone who is not acting in the play himself. But this director needs to be open to actors' ideas and suggestions, and knows how to incorpotate them into his vision. 3. Narration is a key part of our SHAKESPEARE DEMYSTIFIED format. We need to find the balance between leading and showing the audience. Are we going to do Shakespeare only? No. 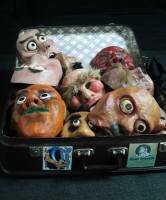 We are constantly seeking opportunities to work in other genres and forms of theatre. Some are based on Shakespeare, others are not. 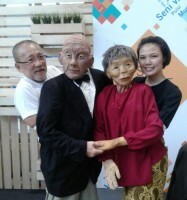 For example, we narrated and acted excerpts in a Malaysian Philharmonic Orchestra concert, entitled 'Celebrating Shakespeare'; we organized a workshop on making and playing with masks, conducted by UK-based artist Simone Tani; our director Kien Lee also acted in Nyoban Kan's Butoh-take on Shakespeare's 'Richard III'; and directed 'Wooden Lives', a human-sized puppet show at Masjid Jamek LRT station under a project by Thinkcity. But Shakespeare will always be our company's main thrust. He will be the foundation of our training, and of our approach to theatre.